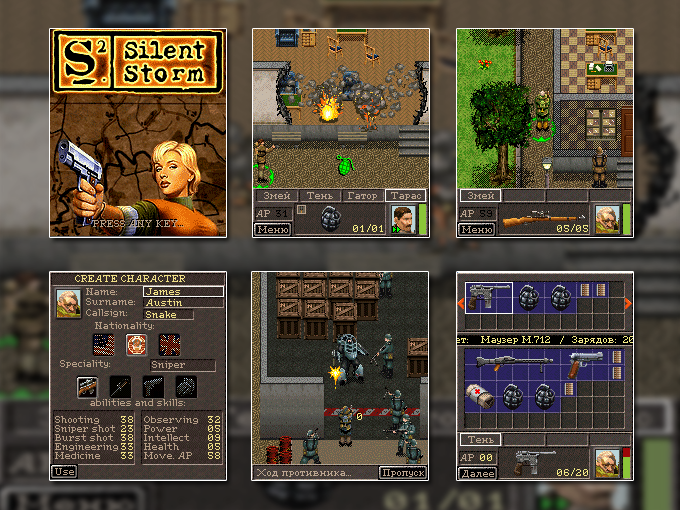 Silent Storm is a tactical turn-based strategy with a developed RPG dimension – a rare and outstanding specimen of this type of games for mobile phones. The author of spectacular and exciting PC strategies, much loved by players the world over, Nival Interactive takes great pains to transpose favourite worlds to mobile platforms. Secrets, conspiracies, stratagems, and the suspense of every moment of game time as the player moves closer to a grand finale: all this is now available on the screen of a mobile phone! Silent Storm transposes us to the battlefields of World War II. Taking charge of a commando unit the players puts together themselves, they are expected to gather information and clues, to be used as pointers to new assignments. The player is being assisted in this far from easy task by allies, and their common overriding goal is to save the world from an explosion of an A-bomb, no less!